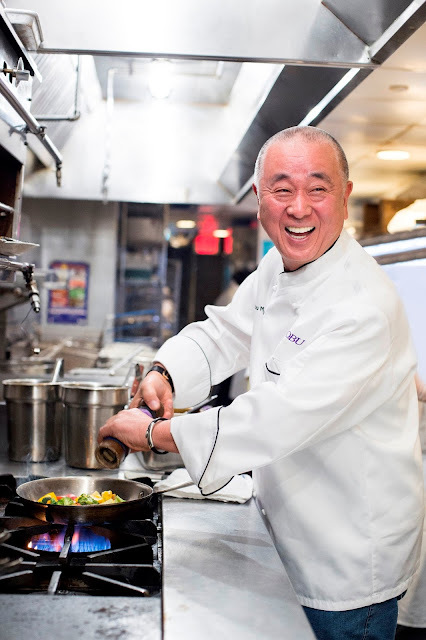 The one-night dinner experience with Chef Nobu is at P10,000 net per person and includes the canapé dinner, a meet-and-greet and photo ops with the celebrity chef, and a signed copy of his book, “Nobu: A Memoir”. For reservations, guests can call 800 8080, e-mail guestservices@cod-manila.com, or visit www.cityofdreamsmanila.com. Nobu restaurants, simultaneously a visual and culinary delight, continue to receive unprecedented praise and rave reviews from publications such as the New York Times, the Zagat Surveys, and the Michelin Guides. The restaurants' popularity and devoted following are a tribute to Chef Nobu Matsuhisa’s innovation in traditional Japanese cooking. For additional information, please visit www.noburestaurants.com. The integrated resort features three luxury hotel brands: NÜWA, Nobu and Hyatt, more than 20 impressive restaurants and bars ,and distinctive entertainment venues, namely: the family entertainment center DreamPlay, the world’s first DreamWorks-themed interactive play space; CenterPlay, a live performance central lounge inside the casino; KTV at City of Dreams Manila, Chaos night club, and the Pangaea Manila, all three situated at the Fortune Egg, an iconic landmark at the Manila Bay area, with its architecturally-unique structure and creative exterior lighting design.